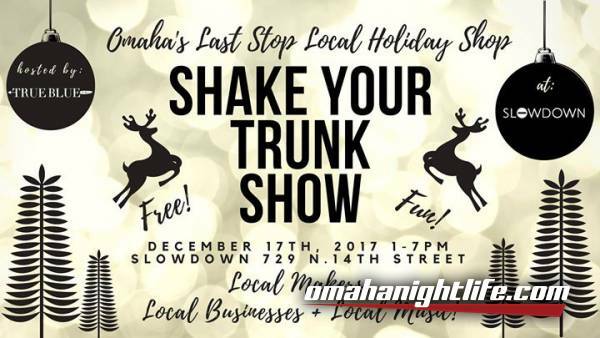 Shake Your Trunk - Omaha's Last Stop Local Holiday Shop! True Blue Goods & Gifts is curating yet another completely LOCAL last stop holiday shop at Slowdown featuring local makers, local businesses and local music! Stay tuned for more information!